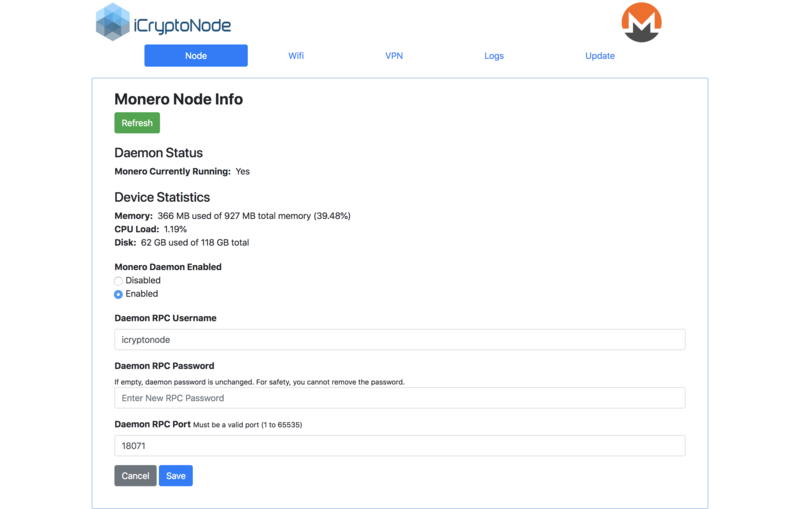 The iCryptoNode software platform allows easy monitoring, updating, and management of your Monero and Vertcoin nodes running on a Raspberry Pi. Easy Software Update - Install the latest Monero, Vertcoin, and iCryptoNode software with a simple button click. All updates are cryptographically signed and protected from tampering. Rock-Solid Stability and Automatic Recovery - If the blockchain daemon or VPN goes down, the iCryptoNode automatically brings them back up. From the moment you turn on the system, everything starts automatically. There is no need to SSH, use the terminal, or do anything manual. 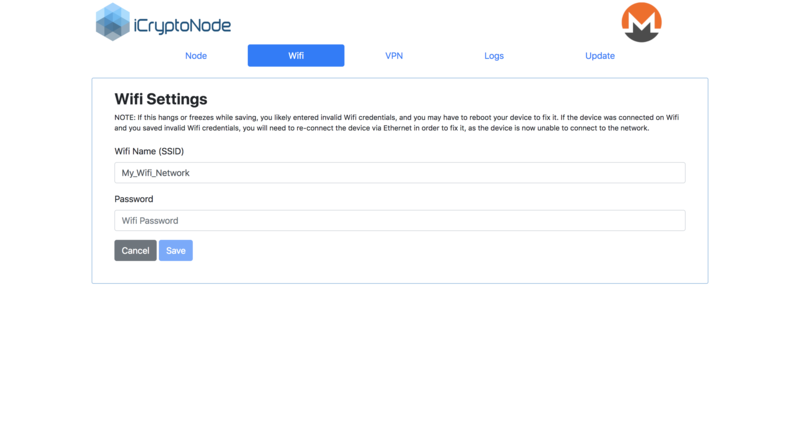 Easy Configuration - Simple to change Wifi, VPN, daemon settings, and other core features with a few clicks. Web Based Management - No need to SSH or Use the Terminal - iCryptoNode software is accessed through a web browser. It is optimized for desktop and mobile devices. All management and update functions can be accomplished with the need to SSH into your Raspberry Pi or use the terminal. Monitoring and Logs - See memory, disk, and CPU usage easily. 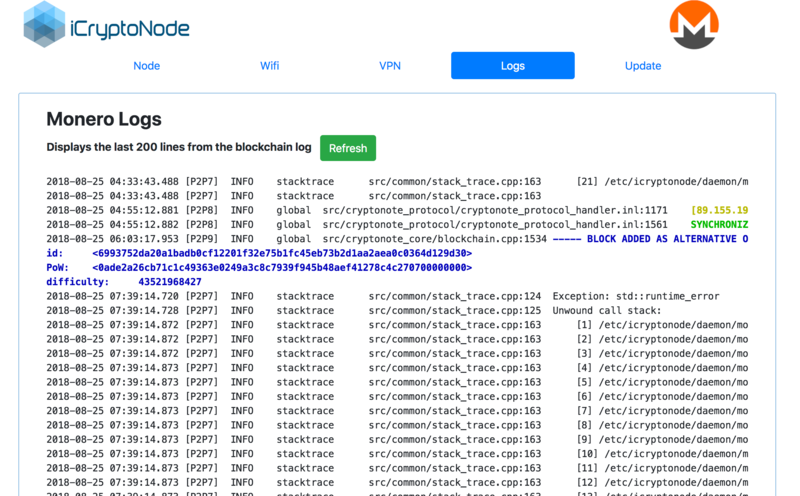 The blockchain log file can be accessed and refreshed in real time to see what's going on. 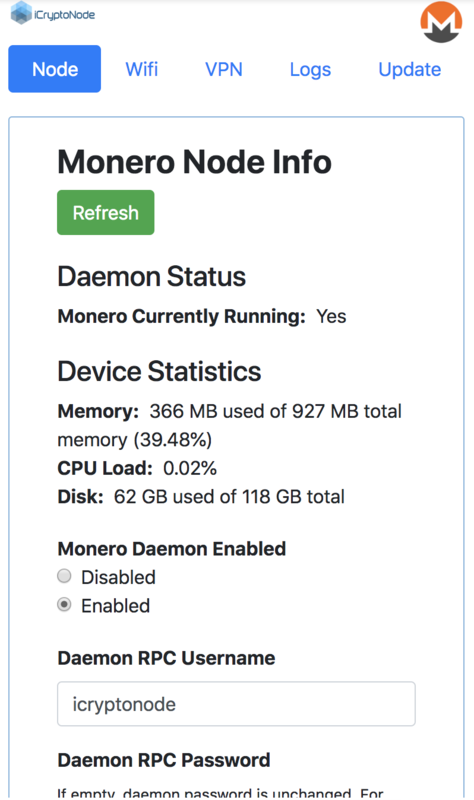 A Dedicated Monero Computer - Save your laptop or PC's hard drive, memory, and processor. 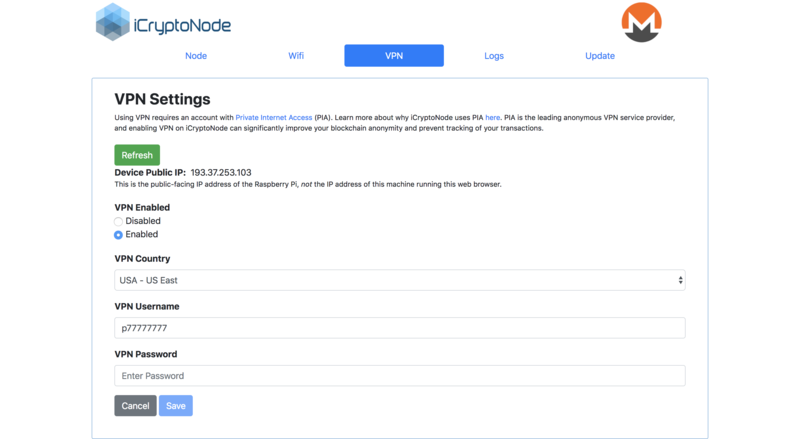 iCryptoNode keeps you connected 24 / 7 / 365 without any hassle.